This tool combines several tools: Rotate, Scale, Shear and Perspective, performing one or several of these actions at once in one single operation. Combining two or more options gives you almost infinite possibilities of transformation. As the other transformation tools, this tool works on the active layer (default). Small diamonds for changing perspective, in large squares for Scaling. A circle with a cross inside at the center of the image window for the pivot. Click and drag this circle to move the pivot. It can be placed out of the image window, and even where you want on screen (but you can no longer see it, unless you enlarge the image window). On rotation center circle: Move icon and Rotation icon. The status bar, at the bottom of the image window, displays the name of the current tool. where you find the Reset (very useful when testing), Cancel and Transform buttons. 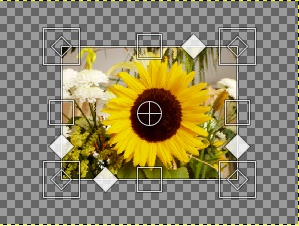 This matrix window appears out of the image or, if the image window is large enough, inside the image window. You cannot edit the values of this matrix, but you can note them to reproduce the same transformation later. or by clicking on the Shift+L keyboard shortcut. The available tool options can be accessed by double clicking the Unified Transform tool icon. See Sección 4.1, “Características comunes” for a description of tool options that apply to many or all transform tools. 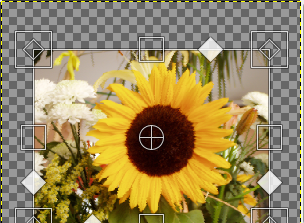 Move: when this option is unchecked, moving the layer is smooth. Checking the option constrains movement to 45° from center. 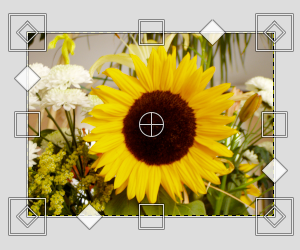 Scale: when this option is checked, the aspect ratio is preserved. Rotate: default rotation is smooth. When this option is checked, rotation goes by 15° steps. 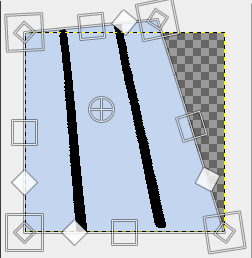 Shear: normally, to shear the layer, you drag the corresponding icon along a layer edge. If this option is unchecked (default), you may move away from this edge. If this option is checked, shear handles remain on this edge. 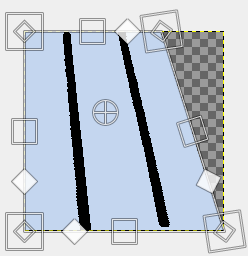 Perspective: normally, to change perspective, you drag the corresponding icon along a layer edge. If this option is unchecked (default), you may move away from this edge. 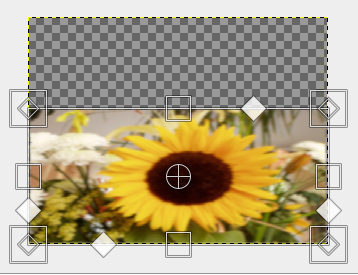 If this option is checked, perspective handles remain on this edge or on a diagonal. 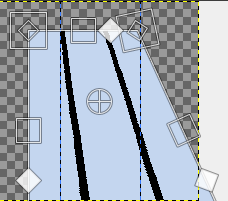 Shear: When this option is unchecked (default), the opposite edge is fixed and the pivot moves with shearing. When the option is checked, shearing is performed around a fixed pivot and the opposite side is sheared by the same amount, but in the opposite direction. Perspective: when this option is checked, the position of pivot is maintained. Snap: if this option is checked, the pivot snaps to center or to corners when it comes close to them. Ctrl to check all From pivot unchecked options and uncheck already checked ones.